Tourism Corporation of Gujarat has published Advertisement for below mentioned Posts 2018. Other details like age limit, educational qualification, selection process, application fee and how to apply are given below. 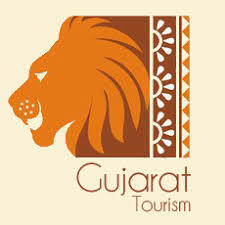 Application Fees: Non-refundable application fee of Rs 500/- per application for General category candidates and Rs 200/- per application for OBC category candidates shall be submitted through Demand Draft in favor of “Tourism Corporation of Gujarat Limited, Gandhinagar. SC/ST candidates are exempted from this application fee. a) The details of the DD shall be mentioned in the form.b) The DD shall be sent with a letter through post or courier only addressed to “Personnel Manager, HR Branch, Tourism Corporation of Gujarat Limited, Block No.16/4, 4th Floor, Udyog Bhavan, Sector-11 Gandhinagar, 382010 on or before 22/03/2018 at 04.00 pmc) The letter shall have clearly mentioned information of the name of the post applying for, name of the candidate (exactly as mentioned in the form), DD No, Figure of the DD in Rupees, Date of DD and name of the bank.d) The name of the candidate and post applied for shall be mentioned clearly on the cover.e) Application without fees submitted through valid DD would not be considered. Only Candidates, who are fulfilling the requisite criteria with completed education, are advised to apply online for the relevant post on or before 21/03/2018 till 11.59 p.m.